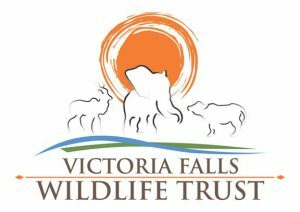 For many people living near Victoria Falls, wildlife is not viewed in a positive light. 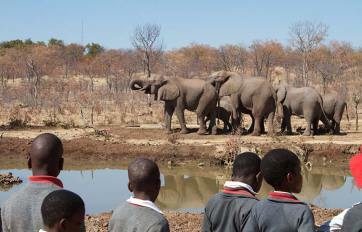 Many only ever see elephants when they raid their plots for vegetables, or carnivores when they are killing livestock. 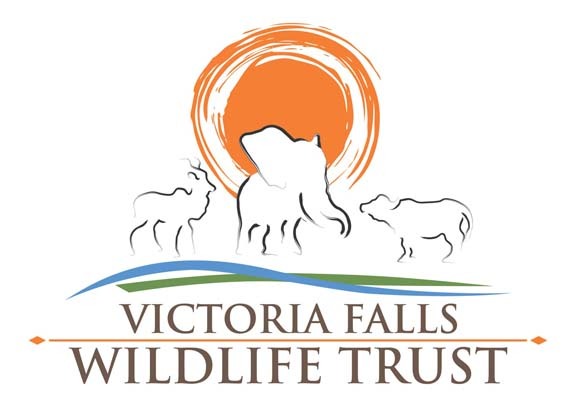 Wild Horizons and the Victoria Falls Wildlife Trust (VFWT) jointly host a weekly conservation education program in which we bring children from the surrounding areas to interact with our resident orphaned elephant and cheetah who act as wildlife ambassadors. A Wildlife ambassador is an animal that for various reasons may not be suitable for release back into the wild, and instead by sharing their rescue stories, act as ambassadors for their species in order to increase awareness of their plight in the wild. 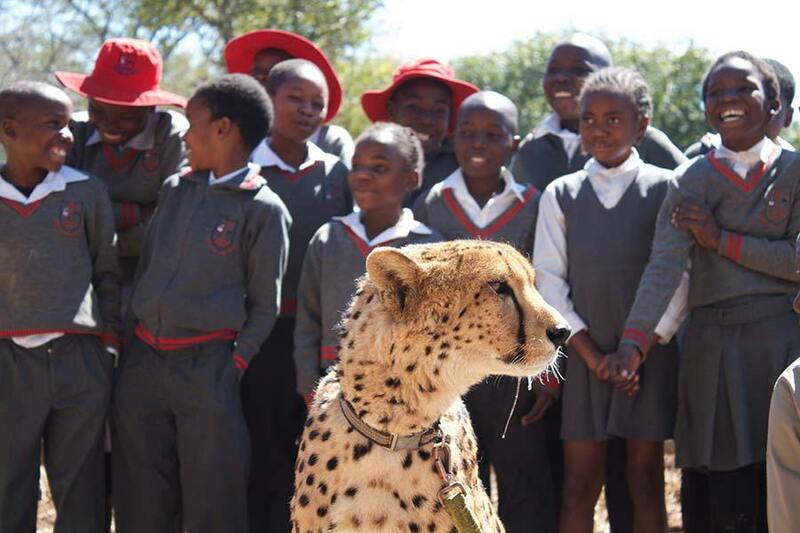 Wild Horizons and the Victoria Falls Wildlife Trust, host a weekly group of approximately twenty school children who interact with our wildlife ambassadors such as Sylvester the cheetah and Judge the vulture and discuss the challenges with human wildlife conflict, poaching and poisoning. These children also get the opportunity to observe an elephant herd and gain a unique insight into elephant behaviour and the challenges. Annually over a thousand school children are transported to our facility, and treated to an educational interaction. It is amazing to see the shy and inquisitive nature of the children who have so many questions about the wildlife they live with. 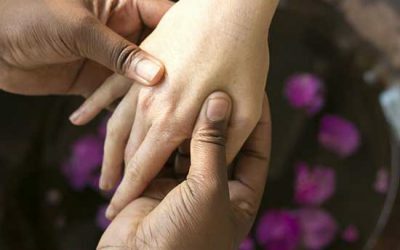 Many of them have misconceptions, often as a result of experiences they have encountered in their daily lives, and all of them are curious to learn more! 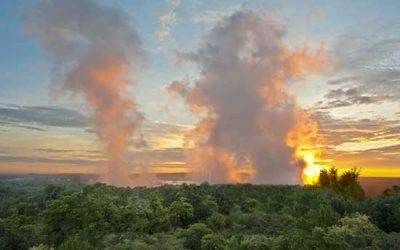 During the discussion on wildlife, a vital part of the conversation touches on tourism and the importance wildlife plays in bringing tourists, and therefore jobs to the local area. NOTHING HAS MORE IMPACT THAN WHEN…the children see the animals up close and you can tell that the moments will last a lifetime. Ultimately these children will be responsible for the long-term sustainability of wildlife populations and natural resources. By working with children from a young age we aim to change all negative perceptions of wildlife. Conservation by the community!